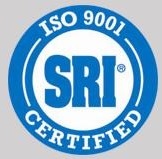 May 03, 2013 - "Capabilities "
Norridge, Illinois- Lexco received their ISO 9001:2008 certification in June of 2009. The review was conducted with the result of Lexco Cable and Lexco Bike being awarded the coveted prize: ISO 9001:2008 certification. Many companies that go through this ISO 9001:2008 Quality Management Standards certification process have given much though to their processes and how to maximize quality and efficiency. The processes are established and guidelines are in place for anyone to follow easily which makes training, transitions, and troubleshooting easier once certified for QMS.